Paris is the second-largest city of Europe (after London), but has a timeless and intimate feel at the same time. 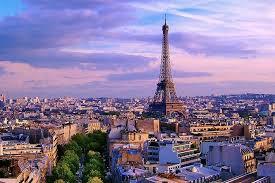 Paris is known for its museums, architectural landmarks and great food. France’s reputation for dining (and food in general) has always been legendary. Paris hold some great places to also find spaces that feed the eyes, mouth, belly and your health too. And as we are used to from the real Parisiens: with style and flair. Paris is a city that has some more than 2.3 million inhabitants and can be roughly divided into the Left Bank – Rive Gauche – and the Right Bank – Rive Droite. The Rive Gauche is on the southern side of the Seine and is historically known as the artistic part of the city. Rive Droite is the larger side and more traditionally the part where the wealthy residents lived and played. It is said to be more orderly than the chaotic left side. Formally the city is divided in 20 arrondissements that are each divided again into 4 neighborhoods. There is limited green in Paris. There are outlying parks as Bois de Bologne and Bois de Vincennes where the Parisians go to. There are some running possibilities, but also these are limited as the big cobblestones in the road and narrow lined sidewalks are not the summum of runners. Great option is to go running at the banks of the Seine on Sundays and during holidays as they are closed to traffic. Another option is to do the 7 mile run from the city hall right in the heart of Paris Bois de Vincennes. Or at the Tuileries on the Right Bank of the city next to the Louvre or on the left at the Jardins du Luxembourg. There are also yearly organised events like the Marathon of Paris in April and the finish of the yearly Tour de France in July. In 2024 the Summer Olympics will be hosted by Paris. Paris can be reached by land and air. It has two international airports: Paris Charles de Gaulle (CDG) and Paris Orly (ORY), that are connected through high- and railway. Both are located directly to highway, by car it takes 30 minutes to reach the city centre. Depending on destination it will take 25 – 35 minutes by public transport. By car it takes 30 minutes to get from Paris Charles de Gaulle/Orly to the city center. A taxi ride to the city center costs between 50 and 55 euros if you depart from Charles de Gaulle, a taxi leaving from Orly costs 30 euros. When moving around the city, you either walk, get a taxi/uber or use the metro. Cycling is possible – a bike sharing system called Vélib can be used at more than 1.800 parking stations in the city - but be mindful in traffic. Once in Paris, famous landmarks such as the Notre Dame, Eiffeltower, Louvre, Musée d’Orsay (noted for impressionist art), Musée National d’Art Moderne (noted for modern and contemporary art) are not to be missed. UNESCO World Heritage Sites are: the banks of the Seine from the Pont de Sully to the pont d’Iéna, the Palace of Versailles, the Palace of Fontainebleau and the medieval fairs site of Provins. Of course, there are many other places left to discover in Paris.